Here at ShootDotEdit, we specialize in wedding photography post production for professional photographers. 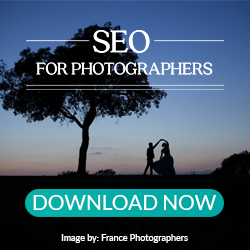 We also enjoy sharing valuable resources to help empower your wedding photography business. With 2018 almost here, we wanted to recap some of our top educational resources for wedding photographers. We put together a list of our top 10 blog posts of 2017 for wedding photographers. The ShootDotEdit blog posts vary in topics relevant to photography and business and feature some of the top photographers and companies in the industry. We also collaborate and source other top wedding blogs in the industry. 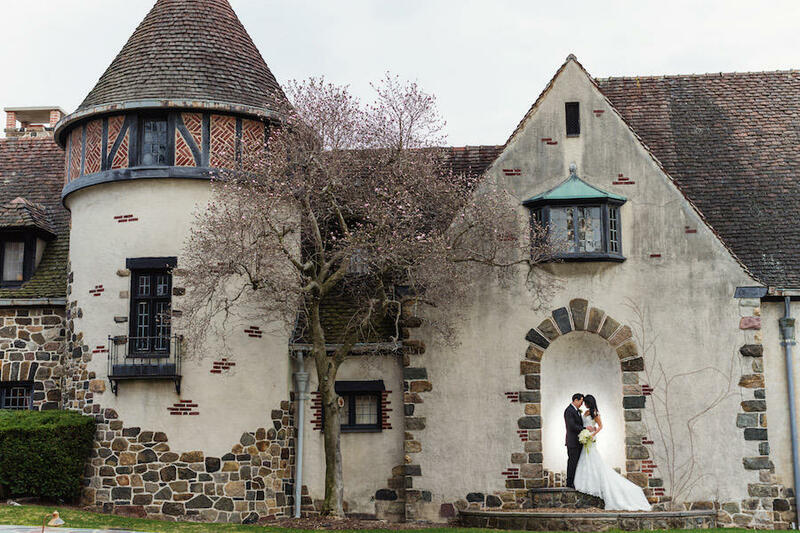 Take a look below to see what made the list, and read through the wedding photography business tips and shooting techniques. Often times during getting ready, there are scenarios and situations you have limited control over and need to work through to capture images for your clients. One specific aspect of that challenge is the lighting conditions you encounter. When you know how to use off-camera flash techniques, you can more easily overcome difficult photography lighting situations. We connected with Pye Jirsa of Lin & Jirsa Photography and SLR Lounge to discover how he personally sets up the light to create dramatic getting ready images. Related: Discover more of Pye’s tips in our Off-Camera Flash Techniques Guide, created in conjunction with SLR Lounge! For your photography business, a presence on Instagram is an ideal way to share your images with ideal clients. Instagram is a popular social media platform to use to showcase who you are as a person and photographer and also to build connections and trust with followers. Since there are several ways to promote your wedding photography business on Instagram, we highlighted 9 posts top wedding photographers try for their accounts, including examples from Natalie Franke, Abbey Kyhl, and Mckenzie Deakins. As a wedding photographer, lighting is one of the most challenging aspects you can face during your shoots. Most shoots differ in lighting scenarios, and it requires you to have a vast knowledge of lighting techniques and how to properly use them to create memorable images for your clients. We reached out to wedding photographer and owner of Shotkit, Mark Condon, to discover his secrets to simple photography lighting techniques you can use for your upcoming shoots. In your photography business, one of your main goals is to attract ideal clients to your photo website. Since there are many platforms you can use to attract new photography leads to your website and blog, we reached out to Scott Wyden Kivowitz from Imagely, a leading provider of WordPress products and services for professional photographers, to learn more about his suggestions for top photography website plugins that help you generate more leads for your business. Often times, it can be challenging to know exactly what will work for your products and services for your photography business. How can you set prices for your wedding photography packages that will help you increase your profit? ShootDotEdit Wedding Pro, Vanessa Joy, shares her 3 favorite pricing rules every photographer needs. Read the post to see what adjustments you can make to your current structure to ensure you are set for the rest of the year. Related: Learn more about Vanessa’s personal pricing tips with our Keys to Pricing for Wedding Photographers Guide! Of the challenging lighting scenarios you face during the wedding day, the reception, provides a handful of issues for you to overcome. In our Online Training: 3 Easy Off-Camera Flash Lighting Setups for Wedding Photographers, Matt Kennedy of The International Academy of Wedding Photographers shared his personal tips for easy off-camera flash techniques to use during the most difficult lighting scenarios. 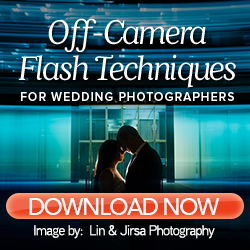 We gathered his top wedding photography tips off-camera flash setups for you to use. As a photographer, posing can be a challenging skill to master, especially when it comes to time-crunches and other issues during the shoot. In our Online Training: How We Pose Our Clients: 10 Tricks We Use in Every Shoot, photography duo, Justin and Mary Marantz, shared their personal insights into how they pose during every wedding day. We gathered their top 5 tips from the Online Training and created a list for you to use for your wedding photography posing. Although you are the creative vision behind each and every photo you take, the gear you choose can determine how quickly and effectively you do your job. The best cameras for wedding photography change every year, and it’s important to choose one that is not only reliable and fast but one that works best for you and your unique situation. We partnered with LensProToGo and asked them to weigh in on their choices for the best cameras for shooting wedding photography in 2017. As a part of your strategy to expand your reach and share images with ideal clients, Instagram is a perfect tool to help. With features for photography business owners and new additions to keep followers engaged, you can use the platform to find and attract couples who may be looking for a photographer. In this post, we dive into some of the strategies Rich Lander of CHARD Photographer uses to increase his following (and push him past 70k followers!) on Instagram. And here it is – our top blog post of 2017. The engagement session brings the opportunity for you to spend time with your clients and get to know them and help them become comfortable in front of the camera, and allows you to showcase your skills and solidify your brand with them. 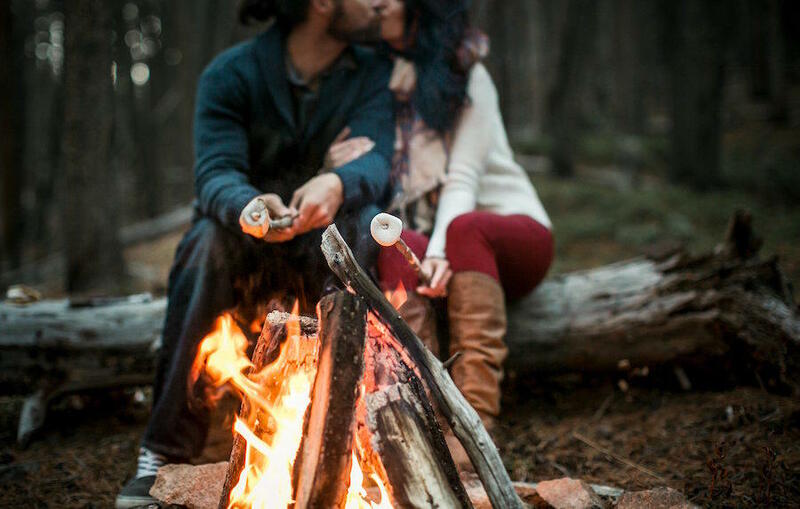 Throughout our blog post, we share 15 engagement photos from pro photographers, such as Danny Dong Photography, Jessica Hill Photography, and more for inspiration. There you have it – 2017’s top wedding photography ideas and tips from pro photographers. What did you think of our top 10 blog posts for wedding photographers? Did you have any favorites? Let us know in the comments! We can’t wait to share more valuable resources with you in the coming year. 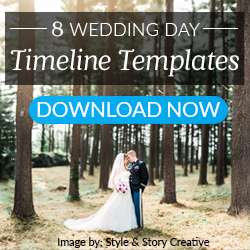 As the new year approaches, download our How to Grow Your Wedding Photography Business to discover 50+ pages filled with actionable items all geared toward tasks to help you have a successful 2018! Thanks for sharing this valuable post with us.your tips are really very beneficial for all photographers..nice post! !